Akshobya, the “ Unshakable one “ , or “ Unmoving Diamond Buddha” transforms ignorance and stupidity into the wisdom of the all-pervading awareness. He holds the knowledge of conventional and ultimate reality and is symbolized by the blue vajra (Tib: Dorje) in the centre of the inner sanctuary. He is surrounded by eight offerings goddesses symbolized by the eight auspicious symbols that they are bearing. 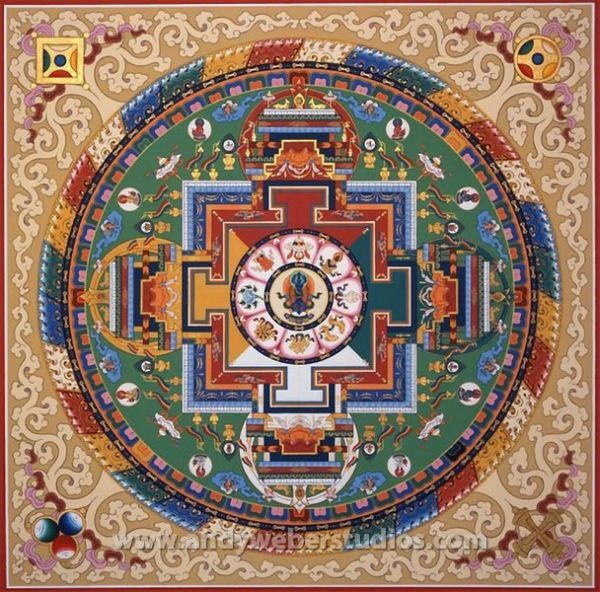 Meditation on the deity and his Mandala purifies deep karmic imprints left by negative actions in this and previous lives.